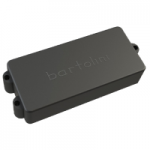 Bartolini is among the oldest of pickup manufacturers. With a great focus on bass pickups, they have long captured the attention and ear of players, builders, and technicians alike. 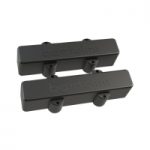 All of the Bartolini bass pickups are made in the USA. Manufacturing began under the brand 'Hi-A' by former Livermore labs scientist Bill Bartolini in 1973. 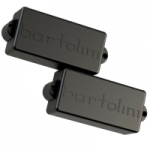 Bartolini provides more pickup shapes and sonic variations than any other bass pickup maker to our knowledge. The typical Bartolini bass pickup 'tone' is a bit warmer than many other pickups (especially cheaper stock pickups).